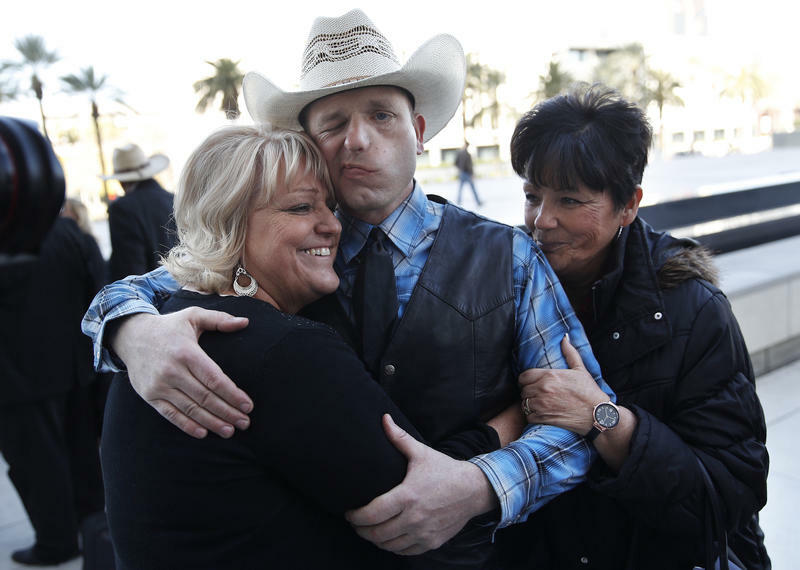 Ryan Bundy, center, is embraced by his aunts outside of a federal courthouse Wednesday in Las Vegas. 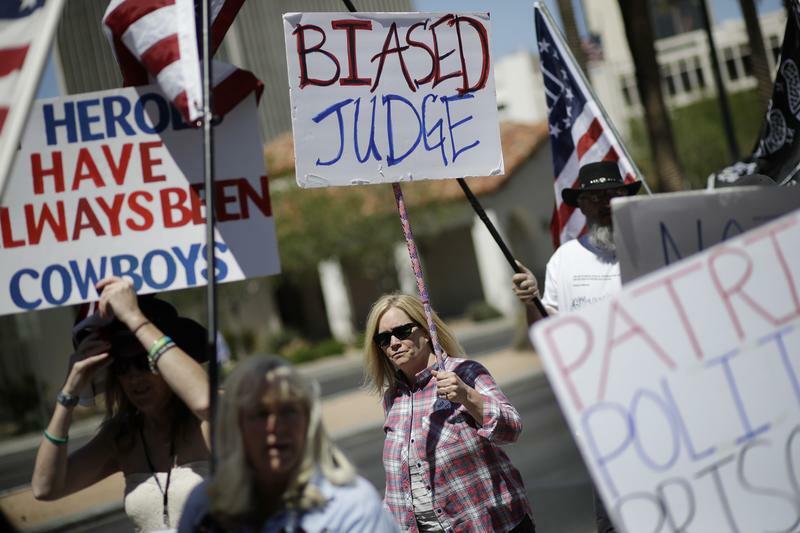 Chief U.S. District Judge Gloria Navarro declared a mistrial in the case against Cliven Bundy, his sons Ryan and Ammon Bundy and Ryan Payne. A U.S. judge in Nevada declared a mistrial Wednesday in the case against a states' rights figure, his two sons and another man accused of leading a 2014 armed standoff with federal agents during a cattle grazing dispute. It is the latest in a string of failed prosecutions in Nevada and Oregon against those who have opposed federal control of vast swaths of land in the American West. Jurors in Portland, Oregon, acquitted the two Bundy sons of taking over a U.S. wildlife refuge in Oregon for more than a month in early 2016 amid calls for the U.S. government to turn over public land to local control. In the Nevada case, Navarro faulted federal prosecutors for failing to turn over all evidence to defense attorneys, including records about the conduct of FBI and Bureau of Land Management agents during the standoff. The case stemmed from an armed confrontation that capped a decades-long dispute over Cliven Bundy's refusal to pay grazing fees. The 71-year-old rancher says his family has grazed cattle for more than a century in the area and insists public land belongs to states, not the U.S. government. Government agents began rounding up his animals. The four on trial were accused of enlisting armed gunmen to force government agents to abandon the effort. "A mistrial is a very bad result for the government," said Ian Bartrum, a University of Nevada, Las Vegas, law professor who has followed the case closely. Bartrum had cast the trial as a test of whether U.S. authorities could enforce their own land policy in Western states where the government owns or controls vast expanses. "It looks even worse because it isn't the sort of jury nullification we've seen before, but actual incompetence (or worse) by the prosecution," Bartrum said in an email. "It certainly erodes a lot of confidence in the federal government's motives." Acting U.S. Attorney Steven Myhre had no immediate answer about whether prosecutors would retry the case. If so, the Bundys and Payne still would face 15 felony charges including assault and threats against federal officers, firearms counts, obstruction and extortion. Six men who acknowledged carrying assault-style weapons faced a trial and a retrial. Two were acquitted, two were convicted of some charges and two are free after pleading guilty to misdemeanors to avoid a third trial. None was found guilty of a conspiracy charge. In the case against the Bundys, the judge hinted last week that trouble was afoot. She sent the jury home to review sealed documents following closed-door hearings over complaints about the conduct of FBI and Bureau of Land Management agents during the standoff. Jurors got a glimpse of the claims when Ryan Bundy, who represented himself, spoke at opening statements about seeing government snipers and surveillance cameras positioned on hilltops surrounding his family home in the days before armed supporters answered his family's calls for help. The investigator, Larry Wooten, said he was removed from the investigation last February after he complained to the U.S. attorney's office in Nevada. The judge freed the Bundy sons and Payne to house arrest during the trial after nearly two years in jail. Cliven Bundy refused the judge's offer, with his lawyer saying the patriarch was holding out for acquittal. Two defendants have pleaded guilty to lesser charges to avoid a third trial and the possibility of more time in federal custody for bearing assault-style weapons during a 2014 confrontation with federal agents near a ranch owned by Nevada cattleman and states' rights figure Cliven Bundy. The trial of six men accused of federal crimes during a standoff at a Nevada ranch divided a Las Vegas jury Monday. 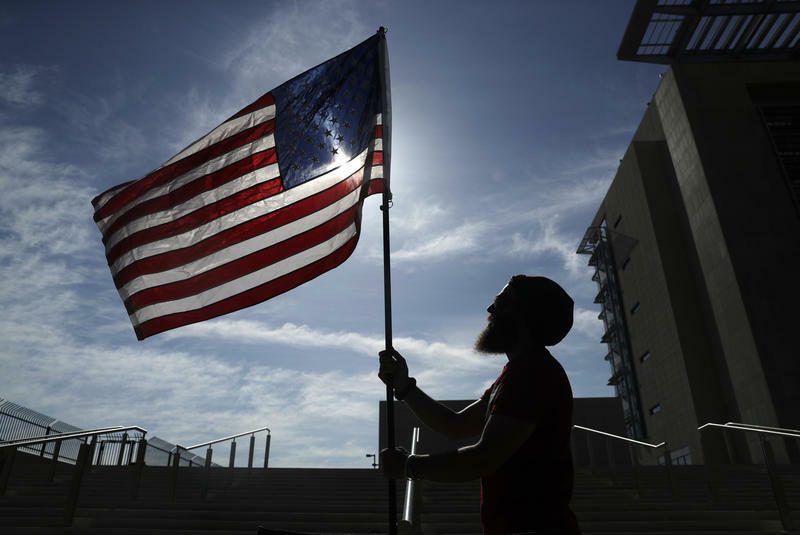 The jury found two men guilty of crimes connected to the armed standoff at Cliven Bundy’s ranch in 2014. A group critical of federal land management gathered at Bundy's ranch to defy agents there to round up his cattle, which were grazing on public lands. The armed standoff ended without injuries. The first of three trials in the case of Nevada Rancher Cliven Bundy has gone to the jury. The six defendants include four from Idaho. Testimony has been going on for two months. The six defendants, from Idaho, Arizona and Oklahoma, are accused of a variety of charges, including conspiracy and assault on a federal agent. They are accused of using guns as they stopped federal agents from rounding up Cliven Bundy’s cattle in 2014. States’ rights supporters say this is really a case about federal control of public land in the West.